It’s a strange experience to attend a tech conference like I did last Thursday and have no one — not the audience or the speakers — mention the biggest tech story of the year. It’s a little like attending a family reunion and having nobody comment on your Aunt Mary’s 25-year old boyfriend. For Chicago, the sale comes weeks away from the biggest real estate move of the last year: Motorola moving more than 2,000 workers into the Merchandise Mart and becoming the biggest tech employer downtown. Lenovo says it will all move ahead with no plans for layoffs. The reason a Chinese tech behemoth with resources pays for an American company is twofold — brand and know how. “Motorola brings a strong brand, brilliant engineering and strong relationships with carriers and retailers.” said Lenovo CEO Yang Yuanqing. In a blog for Crain’s Chicago Business, John Pletz spells out the challenges: Today, it (Motorola) has just 1 percent global market share, putting it in 16th place among the top cellphone vendors, according to research firm Strategy Analytics Inc. That’s down from No. 2, with 22 percent share, in 2006, when Motorola’s Razr phone was the must-have device. After the acquisition, Lenovo will be No. 3, with 6 percent of the smartphone market, which accounts for most of the cellphone industry’s profit, according to Strategy Analytics. Samsung is No. 1 with 32 percent of shipments, followed by Apple, with 15 percent. 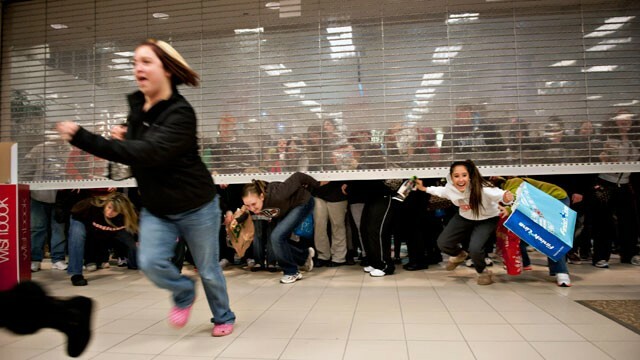 Black Friday holiday sales set a record in 2012 with 247 million shoppers visiting the malls or shopping online. That’s 21 million more people than in 2011. Total sales topped $59.1 billion. The typical holiday shopper spent $423 over the weekend, a $25 increase over the $398 recorded last year. The National Retail Federation (NRF) defines the “Black Friday weekend” as the Thursday, Friday, Saturday and Sunday after Thanksgiving. One of the big stories is that online spending alone soared past the $1 billion mark for the first time ever, according to comScore. Cyber sales rose 26 percent compared with one year ago, when shoppers spent $816 million. This year, the average online shopper spent $172.42 over the Black Friday weekend, nearly 40.7 percent of their total purchases. Of online shoppers surveyed by NRF, 27 percent reported making purchases on Thanksgiving Day, while 47.5 percent shopped on Black Friday itself. Amazon.com was the most-visited retail website, followed by Wal-Mart, Best Buy, Target and Apple. Facebook is friending Nasdaq in one of the most-desirable deals among the Internet companies jockeying ahead in the race for social-media IPOs. The addition of Facebook’s listing enhances Nasdaq’s reputation as the favored exchange among high-tech companies. The exchange is home to several tech firms, including Apple and Google. The stock will trade under the symbol FB, as Facebook prepares its initial public offering for May. Companies pay an annual fee to list their stock, while exchanges receive listings-related income from the sale of market data and additional services offered to their listed companies. A company can pay as much as $500,000 annually to be listed on the NYSE, while all Nasdaq fees are capped at approximately $100,000. The decision is a big victory for Nasdaq, which competes intensely with NYSE Euronext, which operates the New York Stock Exchange. The listing will give Facebook financial clout as it works to expand its global audience of about 845 million users. It also might help Facebook avoid a challenge from Google, which wants to rival Facebook with its own social networking system. Is This Farewell to the BlackBerry? That was President-Elect Obama protesting the idea of giving up his beloved BlackBerry. At one point, Obama suggested that retaining his BlackBerry was one way to stay connected to the real world. “I’ve got to look for every opportunity to do that – ways that aren’t scripted, ways that aren’t controlled, ways where, you know, people aren’t just complimenting you or standing up when you enter into a room, ways of staying grounded,” he said. Ultimately, the battle was won by the Secret Service and Obama’s legal team for fear that the device would be hacked and that a damaging national security breach could occur. Now — five years after its manufacturer, Research in Motion (RIM), was hailed as one of the world’s leading technology companies, the Blackberry’s market share in the United States has fallen from 44 per cent in 2009 to a mere 10 per cent last year. Adoption of the BlackBerry can be compared to the latest technologies of the last century or so. For example, the telegraph was initially used primarily by railroads, financial institutions, and big companies. Although the telephone became popular with consumers relatively quickly, it initially was a business tool. Typewriters also were found primarily in offices. The Internet had its origins as a means of communications by the military-industrial complex, and found an audience among academics and scientists. The personal computer gained market dominance once IBM introduced models targeted squarely at businesses. The trend toward consumerization sounded a death knell for R.I.M., because the company had no idea about what consumers want. R.I.M. didn’t introduce a touch-screen phone until long after Apple; the device was a pale imitation of the iPhone. Once seen as a ground-breaking success, the R.I.M. started to be perceived as offering too many choices and confusing model names. Apple’s iconic co-founder and CEO Steve Jobs, who altered the habits of millions by reinventing computing, music and mobile phones, has died at the age of 56. With Jobs’ passing, Apple has lost a visionary leader who inspired personal computing and products such as the iPod, iPhone and iPad. These innovations made Jobs one of his generation’s most significant industry leaders. His death, following a long fight with a rare form of pancreatic cancer and a liver transplant, set off an outpouring of tributes as world leaders, business rivals and customers mourned his early death and celebrated his historic achievements. “The world has lost a visionary. 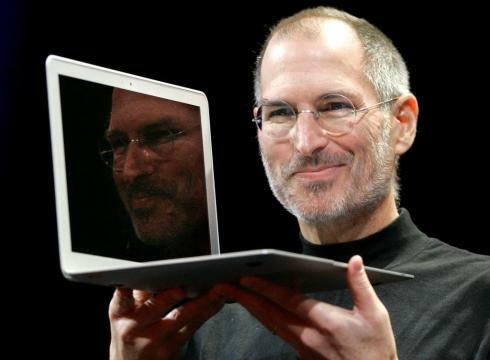 And there may be no greater tribute to Steve’s success than the fact that much of the world learned of his passing on a device he invented,” said President Barack Obama. Even Bill Gates, his rival at Microsoft, joined in the laments. “For those of us lucky enough to get to work with him, it’s been an insanely great honor,” Gates said. With a passion for minimalist design and a genius for marketing, Jobs laid the groundwork for Apple to flourish after his death, according to analysts and investors. A college drop-out, Jobs altered technology in the late 1970s, when the Apple II became the first personal computer to gain a wide following. He repeated his early success in 1984 with the Macintosh, which built on the breakthrough technologies developed partially at Xerox Parc to create the personal computing experience. According to Apple co-founder Steve Wozniak, “We’ve lost something we won’t get back,” he said. “The way I see it, though, the way people love products he put so much into creating means he brought a lot of life to the world.” Wozniak said that Jobs told him around the time he left Apple in 1985 that he had a feeling he would not live beyond the age of 40. Because of that, “a lot of his life was focused on trying to get things done quickly,” Wozniak said. “I think what made Apple products special was very much one person, but he left a legacy,” he said. Wozniak hopes the company can continue to succeed despite Jobs’ death. Computerworld raises the question “Where will that excitement come from now?” When Jobs stepped down as CEO in August, industry analysts said that Apple, with a team of talented, creative employees, will be able to continue his tradition for ingenuity, if not all of his passion, perfectionism and energy. “Steve’s excitement for technology will still come from Apple and from the team that Jobs carefully built that worked with him to give us the iPhone and iPad and many other successful products,” said Carolina Milanesi, a Gartner analyst. One question that has industry analysts abuzz is whether Apple will be able to maintain its dominant position now that Jobs is gone. Jobs’ passing and the industry’s mixed response to the recent iPhone 4S model create challenges for Apple in coming quarters,” said Neil Mawston, an analyst with Strategy Analytics. “Industry eyes will inevitably turn to the iPad 3 launch next year to see whether Apple can continue the company’s impressive legacy of innovation created by Steve Jobs,” he said. In a sign of deepening competition, Amazon.com recently unveiled its Kindle Fire tablet at an affordable $199 that could pose a serious threat to the iPad. “Apple is facing a competitive firestorm from not just one company but a coalition of rivals that are trying to beat it, including some of the largest consumer electronics companies on the planet,” said Ben Wood, head of research at British mobile consultancy CCS Insight. Is the Motorola Mobility-Google Marriage Made in Heaven? There remains the question of the economic impact of the sale on Chicago’s economy, especially in northwest suburban Libertyville, IL, where Motorola Mobility has its sprawling campus. If Google retains Motorola Mobility’s Illinois workforce, the move will represent a win for the state, giving it the bragging rights that come with being part of one of the world’s wealthiest and most entrepreneurial companies. If Google moves Motorola Mobility to California, it will be a blow to Chicago’s northwest suburbs, where many of Mobility’s employees live. One reason for the purchase is the patents that Google will acquire as part of the acquisition. Google pointed to patent disputes as important in its agreement to buy Motorola Mobility. 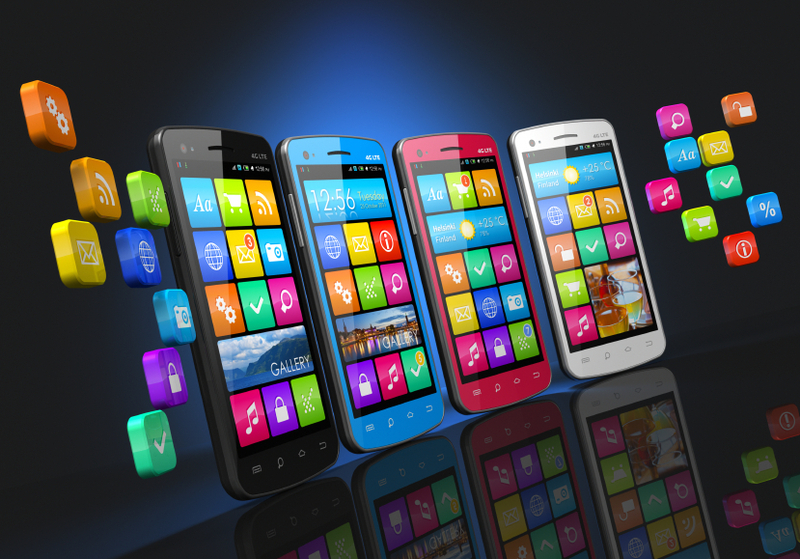 Apple, the iPhone’s manufacturer, and Microsoft, which created Windows Phone software, have targeted phones that run on Google’s Android system. Lacking its own trove of patents to vie with Apple, Microsoft and other companies, Google and its hardware partners were targeted by suits aimed at slowing the adoption of Android smart phones. Adding Motorola Mobility, with 17,000 patents, which has been inventing mobile-phone technology since the industry began, may help Google stanch the onslaught. Google plans to continue to license its Android system to other smart phone makers, such as HTC, Samsung and LG. ”Many hardware partners have contributed to Android’s success and we look forward to continuing to work with all of them,” according to Page. According to analysts, the Motorola deal is likely to help Google expedite its innovation in smart phones and tablets. Bernstein Research analyst Pierre Ferragu believes the acquisition was “solely driven by the ongoing patent war and is an unambiguous positive for the Android ecosystem. It is in the interest of Google to continue to offer a fully open Android platform with equal access to all manufacturers. For Google, there is much more value in securing a major market share for Android than favoring Motorola against HTC and Samsung,” Ferragu wrote. The abrupt departure of Steve Jobs from Apple marks the end of an era, although his leaving is unlikely to have an immediate impact on the company’s product line, according to analysts. Jobs, 56, submitted his resignation to the Cupertino, CA-based Apple board of directors and asked that they name chief operating officer Tim Cook as his successor. In announcing his resignation, Jobs said he wanted to stay on as chairman and an Apple employee. “I have always said if there ever came a day when I could no longer meet my duties and expectations as Apple’s CEO, I would be the first to let you know,” Jobs said. “Unfortunately, that day has come. I believe Apple’s brightest and most innovative days are ahead of it. And I look forward to watching and contributing to its success in a new role.” Jobs has been on medical leave from the company since early this year. Jobs, who has been treated for pancreatic cancer and undergone a liver transplant, rocked Silicon Valley with his decision. Recently, Hewlett-Packard said it was exploring options to sell or spin off its multi-billion-dollar PC division just as the PC industry was celebrating its 30th anniversary. Jobs played a key role in creating that industry. “Hewlett-Packard has given up because of what Apple has done,” said Jay Elliot, a former Apple senior vice president who worked closely with Jobs from 1980 to 1985. “The reality is this guy was so committed to making the best products in the world.” Perhaps no tech figure in recent history carries as much power as or has made a greater imprint on his company than Jobs. Since returning to Apple 14 years ago, he almost single-handedly has resurrected the company from near-extinction to a company worth more than $330 billion. Apple is expected to unveil its iPhone 5 over the next few months and a new version of its popular iPad 2 tablet. Nevertheless, a smooth transition is likely. Cook, 50, has earned praise for his steady leadership at Apple, acting as temporary CEO, while Jobs was on medical leave. Apple is also renowned for its impressive group of engineers, marketers and other executives. Writing in Computerworld, Jason Snell says that “The greatest fallacy in the story of Steve Jobs stepping down as Apple CEO, the one you’ll find in endless media reports, is this: In 1985 after Steve Jobs left Apple, the company went on a downhill slide that led it to the brink of bankruptcy. Therefore, the Apple of 2011 is at risk of doing the same. But the flaw in the History Repeats Itself storyline being promoted in some corners as Jobs steps down as CEO is that the Apple of today is nothing like the Apple of 1985. By 1997, Jobs ran Apple with absolute power, the kind of power he had never had during his first go-round at Apple. Jobs was a co-founder, yes, and his time working with the original Macintosh team is the stuff of legend. But the Apple of 1985 wasn’t Steve Jobs’ company, not hardly. When he took the interim CEO job more than a decade later, Jobs didn’t make that mistake again. Older and wiser, and with the complete support of Apples board of directors, Jobs remade the company to his specifications. “The Macintosh turned out so well,” once told the New York Times, “because the people working on it were musicians, artists, poets and historians who also happened to be excellent computer scientists.” The people who bought the first Apple Mac computers tended to be architects, designers and journalists. Steve Jobs and Steve Wozniak, who created the Apple Macintosh computers in the 1970s, came up with a line of products that – though initially clunky –appealed to buyers, and continue to excite those engaged in design and the media; those who were optimally placed to sow the Apple seed. Will Apple Create the Next Great Building? As envisioned, the new campus would be built on about 150 acres of land that the tech giant owns. Jobs said Apple’s plan would involve tearing down buildings currently on the site and constructing a new ring-shaped building that would be four stories tall, with four floors of parking underneath and a large landscaped courtyard in the middle. If approved, the project will increase landscaping to approximately 80 percent of the site, which currently is 20 percent trees, plants and grass. The four-story, circular campus is said to be the design of superstar British architect Norman Foster. “We do have a shot at building the best office building in the world,” Jobs said, adding that it won’t contain a straight piece of glass. “Architecture students will come here to see this.” Here’s a video of Jobs announcing the building. The United States’ 2010 GDP soared at an annualized rate of 3.2 percent, as consumer spending rose by the greatest levels in four years. “The consumer really drove the economy in the 4th quarter,” said Guy LeBas, chief fixed-income strategist at Janney Montgomery Scott LLC in Philadelphia. “The economy has moved beyond recovery to a stable state of growth.” For all of 2010, the economy expanded 2.9 percent — the biggest one-year jump in five years — after contracting 2.6 percent in 2009. The volume of all goods and services produced climbed to $13.38 trillion, for the first time surpassing the pre-recession peak reached in the 4th quarter of 2007. Tiffany & Co. saw a significant increase in the sale of fine jewelry. Apple reported record 4th quarter sales as consumers bought 7.73 million iPads as holiday gifts. Ford Motor Company’s sales have been so good that the automaker plans to add an additional 7,000 manufacturing jobs over the next two years. The automaker, which did not undergo bankruptcy, did lay off some salaried employees in 2008 as part of a restructuring in the face of slumping sales. Even the Federal Reserve, which renewed its commitment earlier this week to buying $600 billion in government bonds, agrees that the report shows the economy ended 2010 with moderate strength and breadth, but not enough to bring down the 9.4 percent unemployment rate anytime soon. Personal consumption spending contributed slightly more than three percent to 4th quarter growth. That is in line with retailers’ reports showing a respectable holiday shopping season. Whether that level of spending holds up remains to be seen. Many retailers remain cautious in their forecasts and report that consumers are still bargain-hunting. As gasoline prices rise, disposable income may be limited. Alter Now does see it as important to note the correlation with an overall increase in consumer credit debt in December, the first spike since 2008. According to the Fed, overall consumer credit debt rose by 6.1 billion, or 3.0%, to $2.41 trillion while revolving credit debt (primarily from credit cards) rose by $2.3 billion (3.5%) to $800.5 billion. No revolving credit rose by $3.8 billion, or 2.8%, to $1.61 trillion. While the spike in GDP is good news, let us remember that it is still being driven by deficit spending. Compare the U.S. GDP with that of other nations last year and it’s clear who is winning. China, for example, is expected to report an 8.5 percent jump in its GDP, not unexpected in the world’s fastest growing economy. Japan’s real GDP was 3.9 percent higher in annualized terms for the 3rd quarter, beating estimates for a 2.5 percent rise for the year. In the U.K., the economy shrank by 0.5 percent in the 4th quarter, compared with a 0.7 percent increase in the 3rd quarter. 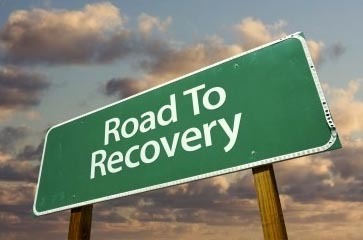 By contrast, the nation with Europe’s largest economy – Germany – recorded a 3.6 percent growth rate in its GDP in 2010. Will the iPad Make Laptops Obsolete? Does the introduction of Apple’s new iPad sound the death knell for laptop computers? 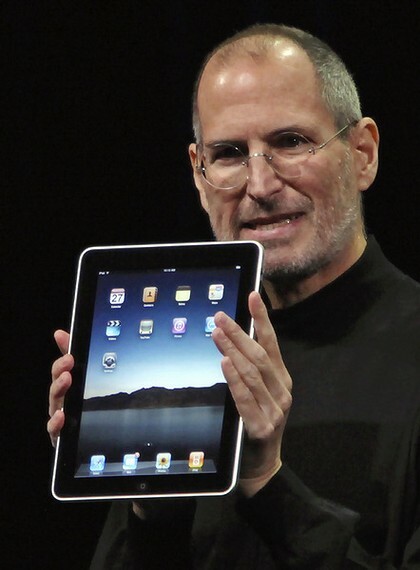 The Wall Street Journal’s Personal Technology columnist Walt Mossberg’s test drive of an iPad has him believing that the new product has “the potential to change portable computing as we know it.” During the test drive, Mossberg used his laptops only 20 percent of the time, because he found the iPad to be extremely user friendly and significantly lighter in weight. According to Mossberg, “If people see the iPad mainly as an extra device to carry around, it will likely have limited appeal. If, however, they see it as a way to replace heavier, bulkier computers much of the time – for Web surfing, email, social-networking, video- and photo-viewing, gaming, music and even some light content creation – it could be a game changer the way Apple’s iPhone has been.” Weaknesses include the inability to write and edit long documents or view Adobe Flash videos, which the iPad doesn’t support. Beatlemania is Back. Beatlemania Never Left. We invite you to tour our most prominent developments.